dripping from the wasps’ nest. There is something that has to be said for the ambrosial pleasure derived out of watching raindrops fall in an eclectic pattern all around you. The tangible sensuality and the magical reality of the moment predispose a sense of romanticism in even the most unpoetic of people. Since time immemorial rains have evoked a myriad emotions in all and sundry. Be it a soft pitter-patter, a constant drizzle or a deluge, rain in all its avatars has inspired the imaginative and the not-so-imaginative among us to pen down our deepest feelings without a further thought. The falling of raindrops has been captured by the most creative minds of all ages. Even in literature, the literary legends across borders and centuries, have time and again tried to string together the various moods associated with rain — be it the uplifting sensation of catching the first raindrops on your hands or being caught in a downpour or even the pleasure of being out-and-about just after a spell of rain! There is an enchantment to it, to which at times, even words cannot do justice. But this hasn’t stopped the luminaries of the literary world to at least attempt to spin a word web around the outpouring of their emotions in relation to the downpour of rain. 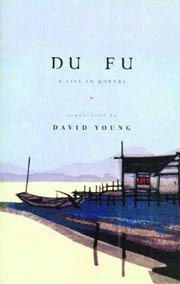 From Wang Wei (the famous 8th century Chinese poet) to Matsuo Basho (Japanese Haiku master poet), from Rabindranath Tagore to Tu Fu (one of the greatest Chinese poets) and from Yehuda Amichai (famous contemporary Israeli poet) to Pulitzer Prize-winning Carl Sandburg, not even one of them has been able to remain unaffected by the allure of rain. Deepened colors grace thatch homes for a moment. Who has run away from his mother to tease her. Early from the Ganges with their filled pitchers. Rain resonates within us all some really blissful emotions, in fact it has come to stand as a motif for a spectrum of sentiments. With the ecstasy of meeting and mating on one end and the agony of separation from a loved one on the other, rain and by extension monsoon, moves hand-in-glove with varied forms of human emotion and has become a loyal companion in our moments of grief and joy. To trail the route of Indian literature and mythology with respect to monsoon, one can find rains playing a pivotal role. Right from Rig Veda to Ramayana readers can find due importance being accorded to the phenomenon. 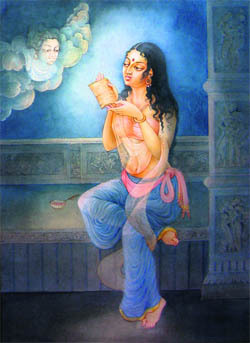 In the Rig Veda, hymns have been dedicated to Prajanya, a cloud, and a godlike status conformed to it. There is a sense of celebration and rhapsody associated with the season. On the other hand, in Ramayana rain stands as a motif of separation as Rama has to cease his search for Sita during the rains. 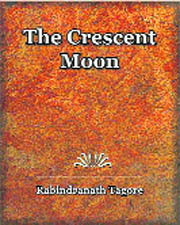 One of the best dedications to monsoon and rains that can be found in Indian literature is Kalidasa’s Meghdootam. This epic poem most beautifully captures the journey of a cloud, both literally and metaphorically (as a messenger for Yaksha’s wife) and is considered to be the most celebrated poem on this theme. But this sentimentality is not just reserved for poets. The soft caress of the falling drops has made many writers wax poetic about them and at times even chase them. 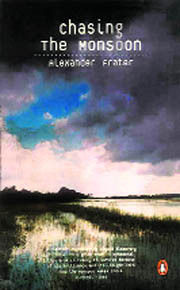 Alexander Frater literally pursues the Indian monsoon in his book Chasing the Monsoon right from its onset in Kerala to its conclusion, as it reaches the Northeastern states. Then there is US-based Indian origin children’s writer Uma Krishnaswami, who has created a very vivid and appealing picture revolving around the anticipation of the approaching rainy season in her aptly titled book, Monsoon. Besides Krishnaswami, one can choose to read excerpts on the mesmerising monsoon in the works of various other writers, one of them being Khushwant Singh with his Train to Pakistan. Thus, from Haikus to hymns, and from prose to verse, the world of literature is filled with dedications to this enchanting season of rains. So this monsoon, you too lose your heart to the sublime bliss of the softly falling drops and curl up with a good book as you breathe in the musky aroma of the rain-drenched earth.